A new study suggests that the many baby teethers in North America may contain potentially harmful chemicals, including BPA, which are already banned from baby bottles. Parents often turn to the colourful plastic toys to help ease an infant’s pain during teething. In the study, published in the Environmental Science and Technology journal on Wednesday, researchers with the New York department of health made findings that suggest babies who chew on teethers may be ingesting small doses of endocrine-disrupting compounds (EDCs), a variety of chemicals that can potentially interfere with hormones and have harmful developmental, reproductive and neurological effects. Researchers tested 59 teethers, bought from major retailers and online venders. Tests simulated what would happen when in contact with a baby’s saliva. 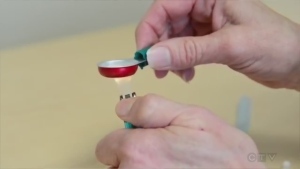 All 59 toys released traces of BPA. The discovery came as a surprise; many of the products were labelled “BPA free.” Some teethers released triclosan, an antimicrobial linked to liver cancer, and others contained parabens, a type of preservatives linked to thyroid problems. The study is the first of its kind to document the potential problem, says Kurunthachalam Kannan, a professor with the New York State Department of Health. He says the findings are a cause of concern for consumers. “The parents look at the ‘BPA free’ label and then they think that the product doesn’t have that chemical. 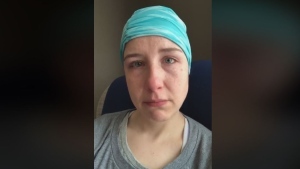 But unfortunately, the chemicals are there – although in lower levels, they are there,” Kannan told CTV News. The report didn’t release the names or brands of the teethers that were tested. But the American Chemistry Council disputes the study's findings. In a statement, officials cast doubt on the amount of potentially harmful chemicals that leech from the teethers. “This study provides very little useful information for the parents of young children, as it focuses on the mere presence of chemicals, which parents should be reassured does not equate with harm. It should be noted that all the chemicals studied here are shown to be at extremely low exposure levels and well-below government set safe levels,” officials wrote. The American Juvenile Products Manufactures Association (JPMA) also contested the study’s findings. The JPMA said the study’s claims were “misleading” and “needlessly alarm parents and caregivers”. Health Canada said that it has not reviewed the study and therefore cannot comment, but will take action if there is a risk to the health and safety of Canadians. But researchers said there is ongoing debate over what safe levels for children really means. “When we put all of these toxic chemicals, although at lower levels, what effects [are they going] to have on babies? We don't know,” said Kannan. 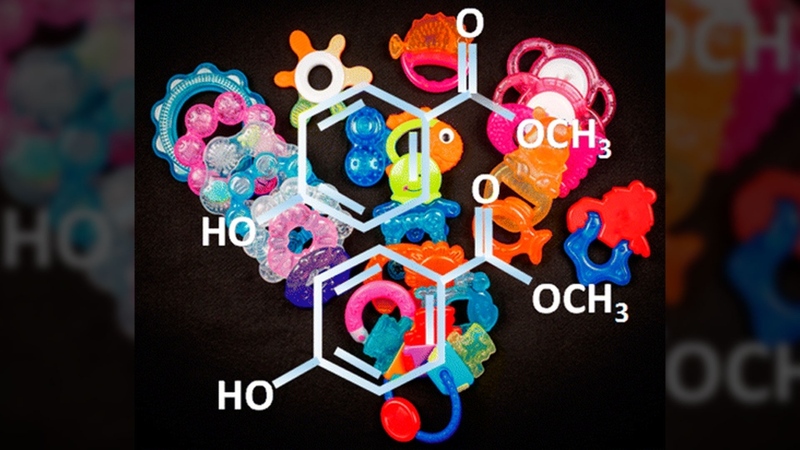 Austria and Belgium have regulated chemicals like BPA in baby’s teethers. Some environmental groups say it’s time Canada completely eliminate the chemicals or create rules for children’s toys. ”We need to have a better system for products that go onto the market being tested so that we know those claims are accurate," said Maggie MacDonald, toxic program manager for Environmental Defence Canada. Some parents are alarmed by the findings. Nicole Convery bought teethers for her baby Carter because they were labelled as BPA free. For those concerned about plastic teethers, several types of natural soothers are available on the market made of wood, natural rubber and metal.